As the saying goes, beauty is in the eye of the beholder. Luckily here at Hunker, we've cultivated a team of contributors who have the ability to see more than what meets the eye. Driftwood, kids clay, a plain Ikea dresser — these basic materials and everyday items shouldn't be pigeonholed. There's an art to doing DIY well, and we've found the best artisans and experts who skillfully share their visions with you. Wait till you see what these innovators have created from the simplest things. This doormat is only five bucks at Ikea. 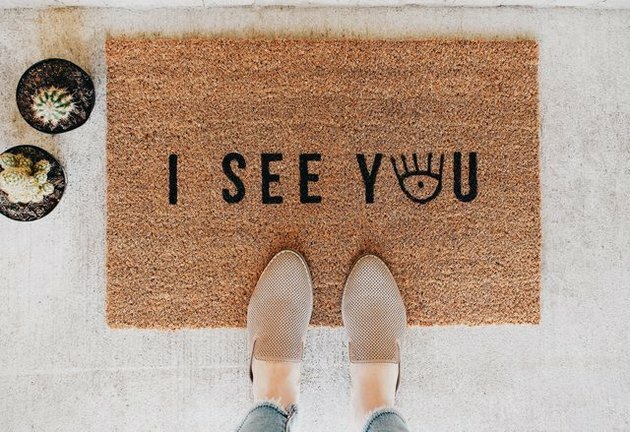 Marry it with some materials you've used since your elementary school days, and voila: A design-worthy doormat that sets a fun tone for your home. 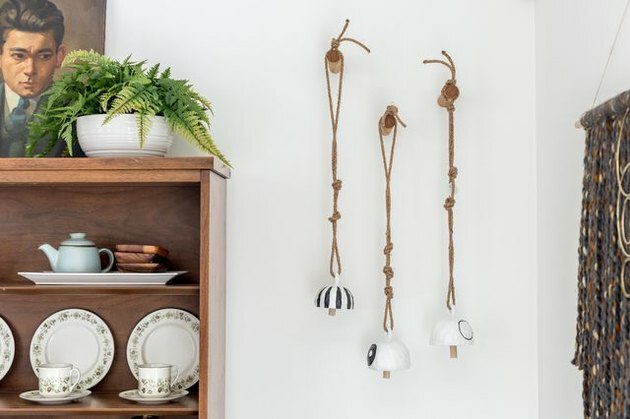 Chances are if you're into boho decor, you've been eyeing clay bells like these. But perhaps your wallet weeps when it thinks about ponying up for one of these bad boys. Enter air-dry clay and it's magical abilities to go from a hunk of nothing into enviable wall art. 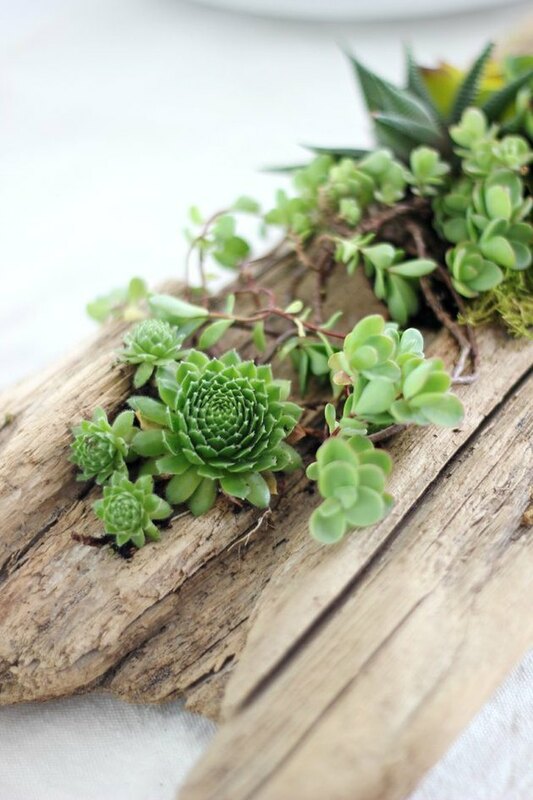 All is well when a simple piece of rustic wood becomes the holder of the hottest greenery around: succulents and air plants. Holy Hack! 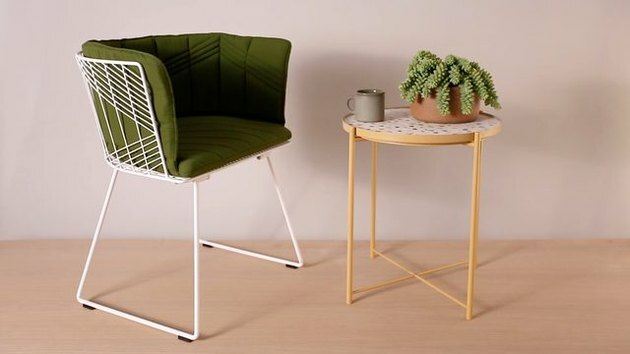 This DIY takes everyone's favorite store (Oh hey, Ikea) and marries it with one of the hottest trends of 2018: terrazzo. 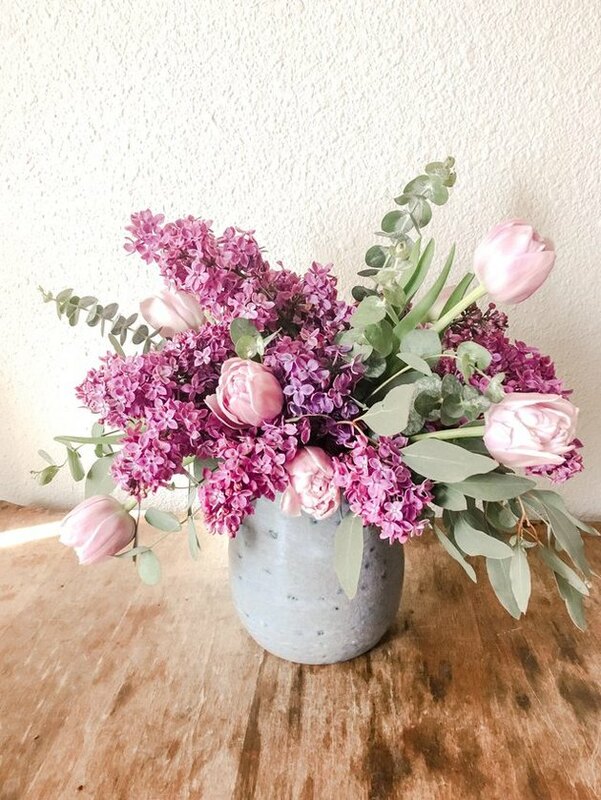 Grab a couple bunches of single flowers from Trader Joe's and turn them into an arrangement that looks like it was bought from the fancy florist shop down the block. By following a few pro tips, no one will ever know. 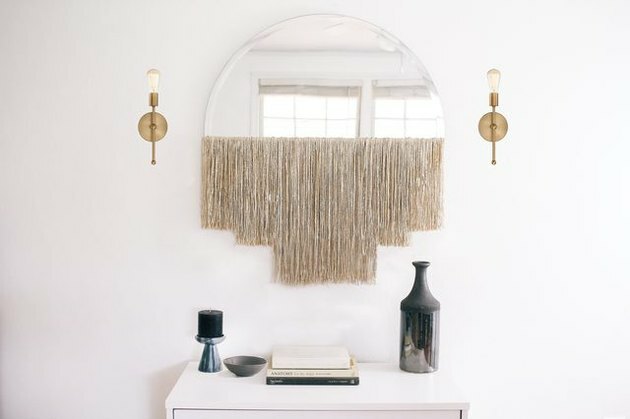 A cheap mirror on your wall? Not if you're adulting. 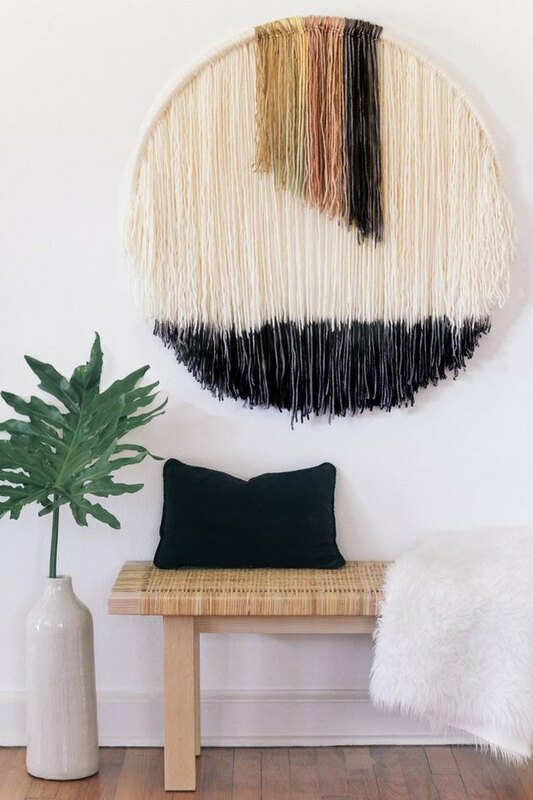 But a cheap mirror that is transformed into a boho fringed half moon mirror? Yes, you're ready. 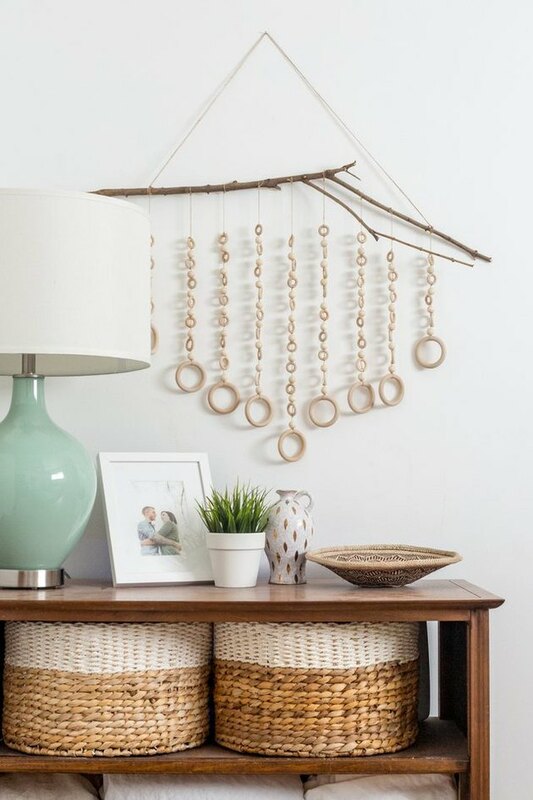 Literally a stick from your yard, plus some inexpensive wood rings from your local craft store, will create this beautiful wall hanging. Artwork like this goes for big bucks at high-end stores. But you're smarter than that. This rug is from Amazon for fewer than 20 bucks. 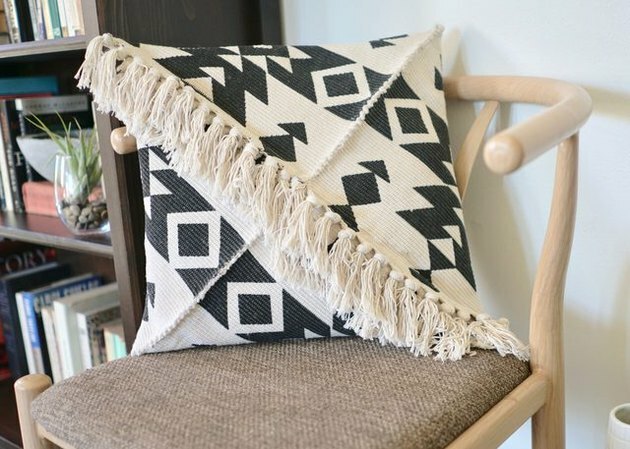 With an easy snip and sew, it transforms into a gorgeous pillow. We're talking Anthropologie-like gorgeousness. As far as we're concerned, copper pipe can do no wrong. 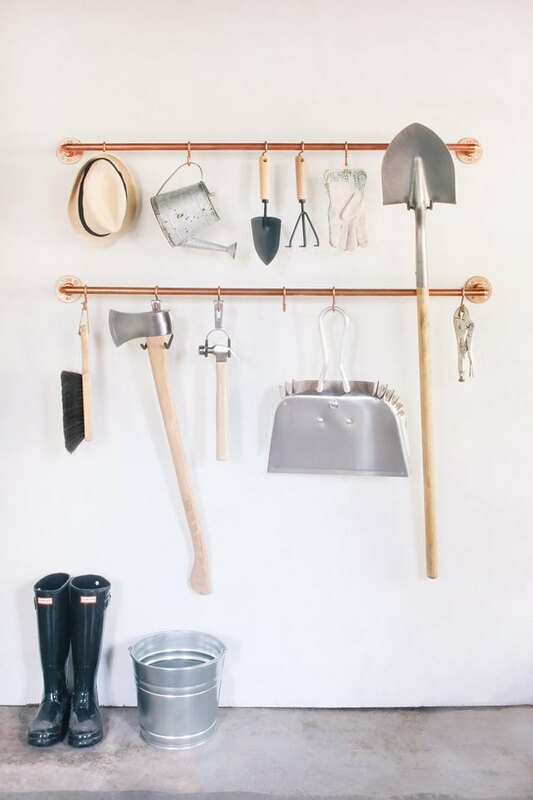 This humble workhorse can be transformed into an organizer for tools, a clothing stand for when space is an issue, and so much more for your home decor. Scrap leather can be so scrappy – in the best of ways. So don't throw away those plucky little pieces. 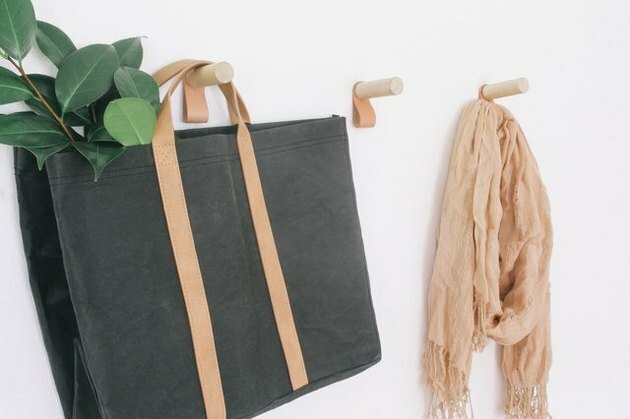 Did you know you could use it to make wall hooks or a vase that look like boutique finds? 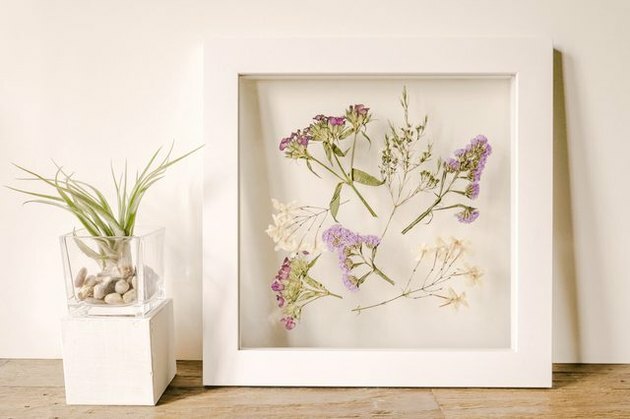 An inexpensive floating frame plus flowers from Mother Earth come together to create one of the hottest trends of 2018: pressed flowers. Remember pressing botanicals as a kid? It's no secret that we at Hunker love concrete. 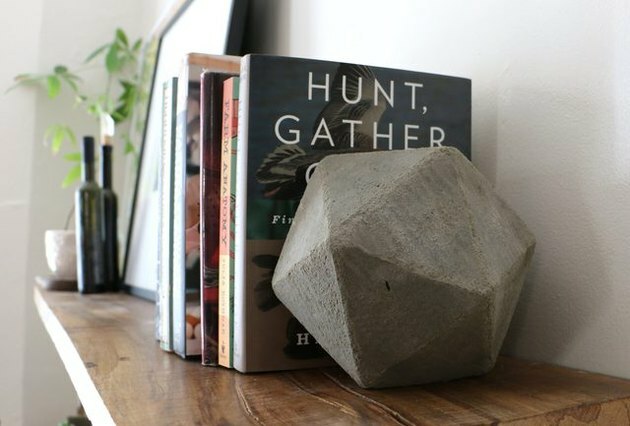 The transformation from basic concrete material to drool worthy decor pieces (such as these bookends, succulent planters, or a tabletop fire bowl) just feels magical. Yes, really. 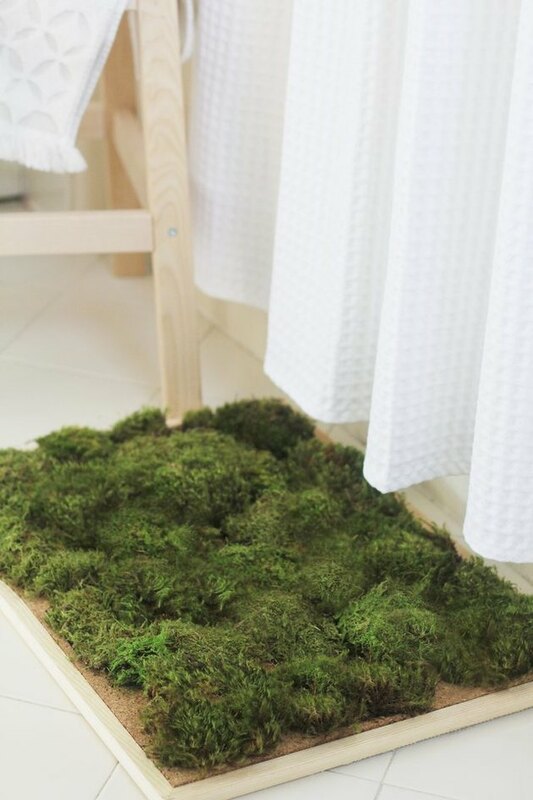 You can turn a cork bulletin board into a spa-like moss shower mat that really works. It may seem a little wacky, but just go with it. Just like you can't deny the power of Oprah, you can't deny the power of wood and all the many ways it can be used in the DIY world. One of our faves is this bath tray. 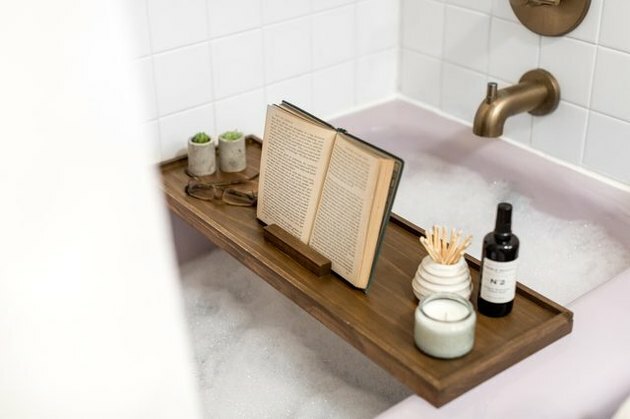 Pair it with a book, some candles, and let's be honest, a glass of wine at bath time, and we'll see you later. Ikea hack is back! 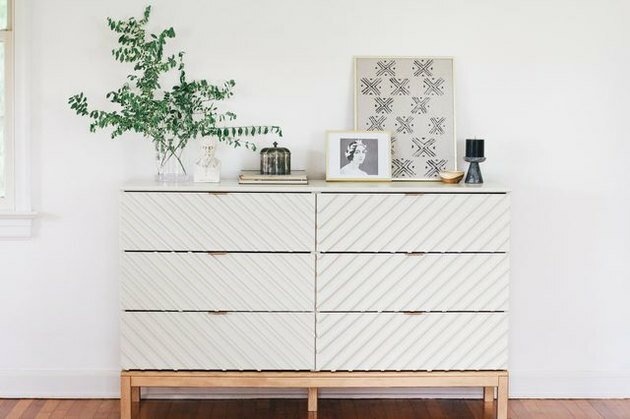 Turn a humble Tarva dresser into an ornate chevron beauty for your bedroom. Can you believe this transformation?! 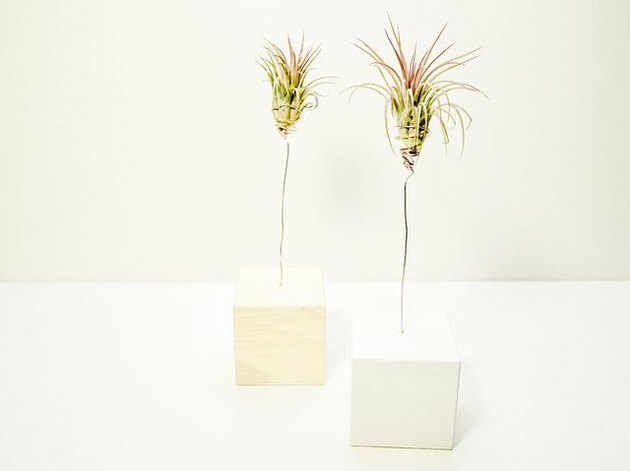 A $5 wood block becomes the base of this too-cute air plant holder. 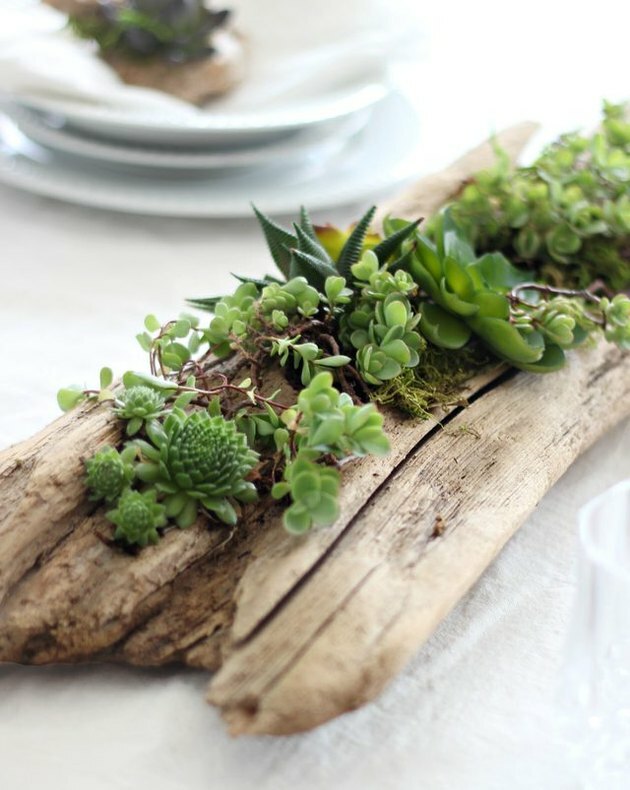 We say make a few of these and style them together on a fireplace mantle or coffee table. Only a true DIYer would have thought this one up. 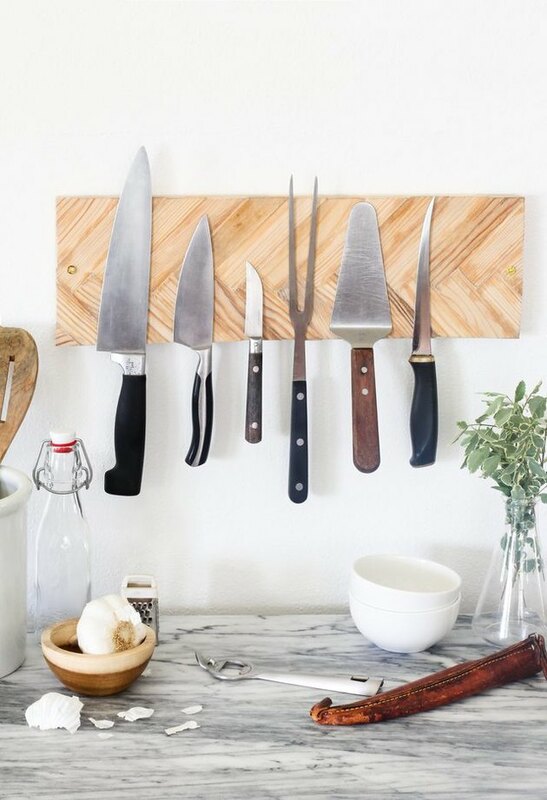 People, this artisan knife rack is made from paint stirrers. Paint stirrers. 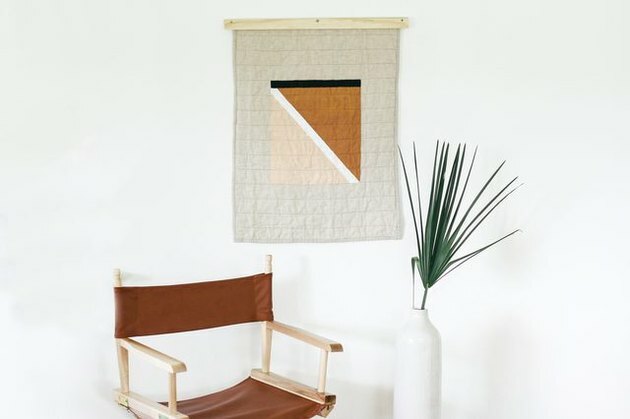 Be it Instagram or Pinterest, we're betting that you've seen a similar design to this beauty — but a way more expensive design. Luckily, you don't need to add it to your wish list of wants because you can make it for a fraction of the price using a hula hoop. 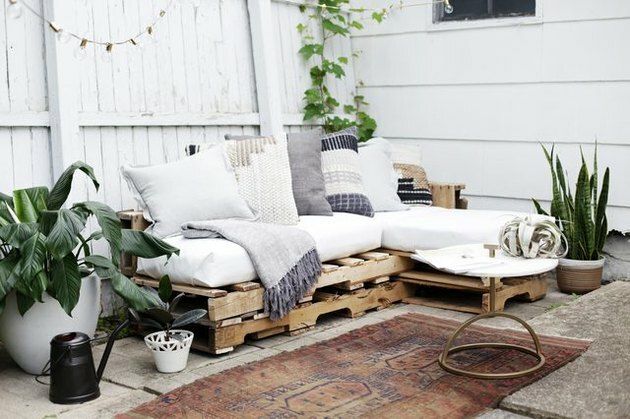 Rustic decor rears it's charming head when pallets are turned into outdoor couches. Granted this may be a bigger DIY for some, but we've laid it out for you step by step.